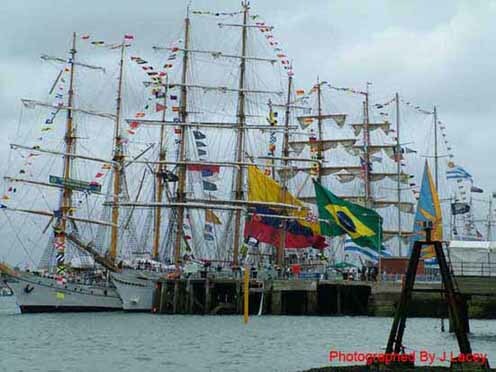 The 2005 International Festival of The Sea was held in Portsmouth for the third time. 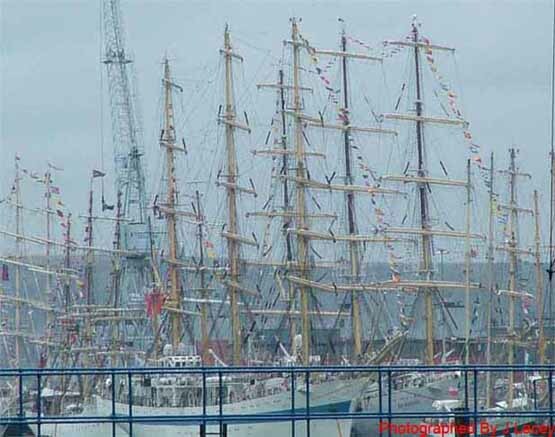 The maritime extravaganza was held in Portsmouth’s Royal Naval dockyard and was part of the Trafalgar 200 celebrations. The event contained many different examples of sea craft from Royal Naval ships to Tall Ships. There were various displays from the services including both air and sea displays. The event was opened by HMS Victory firing a broadside and each day closed by the assembled ships marking their enjoyment by sounding their horns. 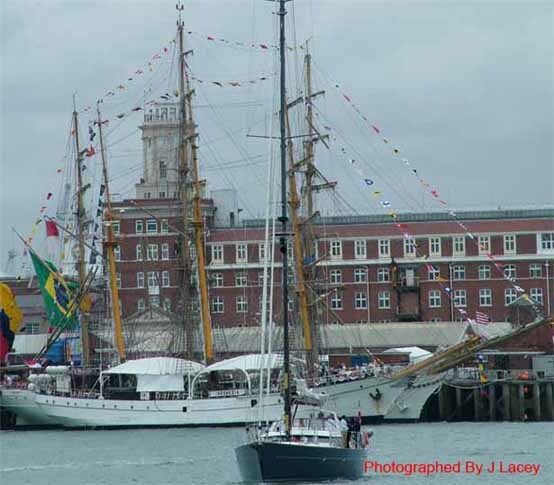 The International Festival of The Sea concluded a fully packed and very entertaining week in Portsmouth. The best way to experience the scale of the event is through pictures some of which can be found below. All the pictures on this page were taken on Friday 1st July 2005 at the International Festival Of The Sea, Portsmouth. To return to the Trafalgar 200 page please click here. In 2008 Portsmouth saw the first Meet Your Navy event, more information about that event can be found here.